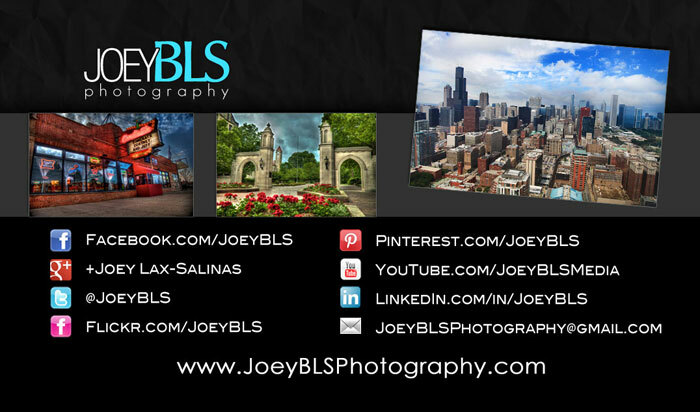 Want to follow Joey Lax-Salinas and JoeyBLS Photography online? We’re online on most of the popular social media sites, including Facebook, YouTube, Twitter, Google+ and more. View vibrant photos from my travels around the country. 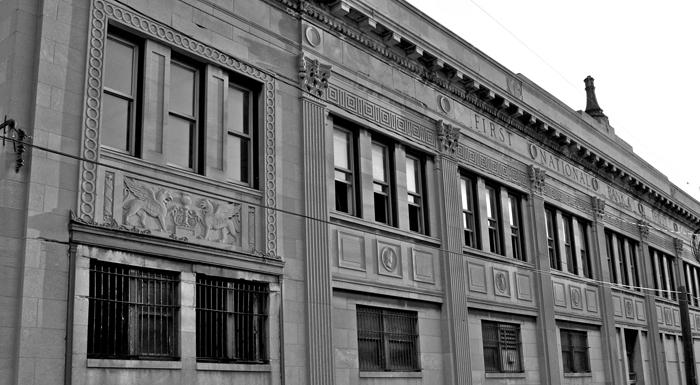 The First National Bank of East Chicago building was a neo-classical building built in 1929 in East Chicago, Indiana on the corner of Indianapolis Blvd and Chicago Ave. 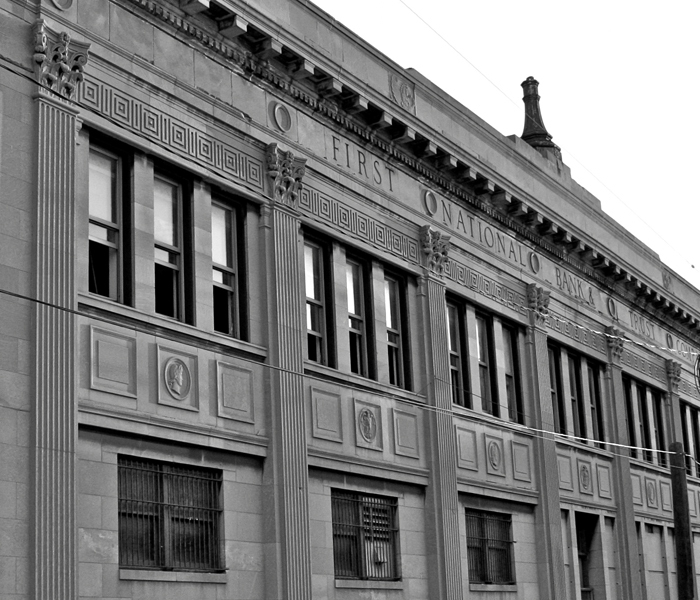 The building was notorious in Northwest Indiana for being the site of a January 1934 bank robbery by John Dillinger and his gang. Following the bank hold up, one of the members of the Dillinger gang, allegedly Dillinger himself, shot and killed East Chicago Police Officer William Patrick O’Malley on the sidewalk not far from the front entrance of the building. O’Malley died from eight gunshot wounds to the chest. Several months later, Dillinger would be caught in Arizona and brought back to Lake County, Indiana where he was housed in the Crown Point Jail. Shortly after, Dillinger escaped from the jail using a fake wooden gun and stealing the sheriff’s personal car as the getaway vehicle. After years of efforts by local preservationist groups and individuals, the building met the wrecking ball in August 2005 and was replaced by a Walgreen’s. The beautiful architecture and interior marble lobby were remarkable historic structures in Northwest Indiana, now lost to history. Below are a few photos of the bank while it was open in 2004 and then one year later as it was being demolished. 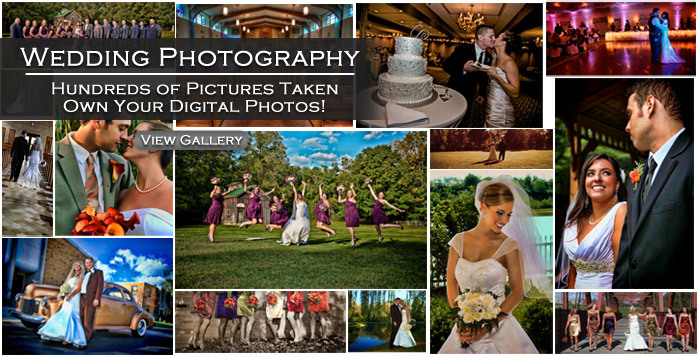 The photo above was taken for Todd and Laura’s wedding in May 2013, which took place at Silver Lake Country Club in Orland Park, Illinois. As a Northwest Indiana wedding photographer, I look to provide custom wedding packages for all types of weddings. If you are planning a wedding ceremony or wedding reception in Northwest Indiana and you are looking for a wedding photographer to capture your special moments, consider JoeyBLS Photography for your precious memories. Vibrant, sharp photos taken with a journalistic style. View packages and prices. Play Video of Photo Slideshow Below! 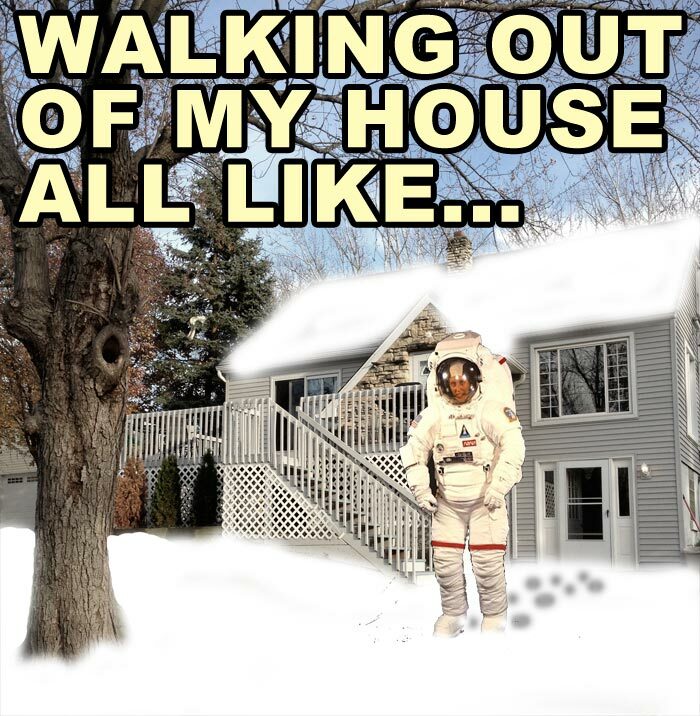 This photo pretty much sums up how I feel when I have to leave my house in sub-zero temperatures. While your here, check out these cool photos. Graffiti lines most of the walls inside of the long abandoned City Methodist Church in Gary, Indiana. This building has been abandoned since the early 1970s and has become a popular place for urban exploration in Northwest Indiana, bring in photographers from thousands of miles away to take photos of the many abandoned buildings in Gary. View more photos of urban exploration Gary, Indiana including more from the City Methodist Church. 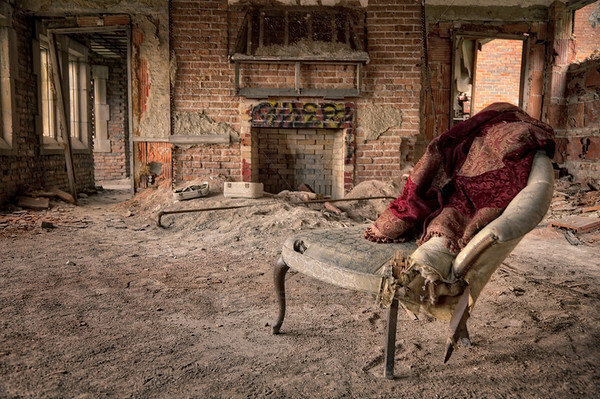 An old chair with a red velvet blanket was found in one of the rooms of the former City Methodist Church in Gary, Indiana while doing a little bit of urban exploration photography in the abandoned buildings in the city. This is a popular location for photographers to come to for photos and many of the props that you see around the church have been brought in and were not originally in the church. 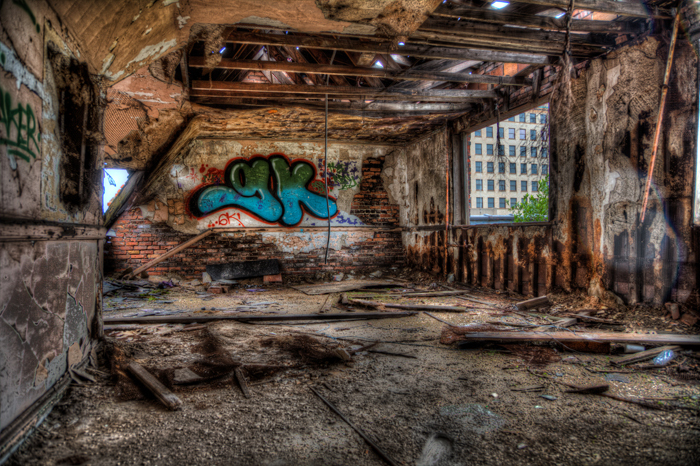 View more Gary, Indiana photos! Northwest Indiana wedding photographer Joey B. Lax-Salinas brings his wedding photos to life with vibrant colors, sharp images, and poses that are fun, interesting and memorable. As a Northwest Indiana photographer, JoeyBLS Photography is familiar with many of the best wedding photo locations in Northwest Indiana and is happy to work with you to get you the pictures that you will cherish for a lifetime. After you have had a chance to view our photo samples, please click over to view our wedding photo packages.